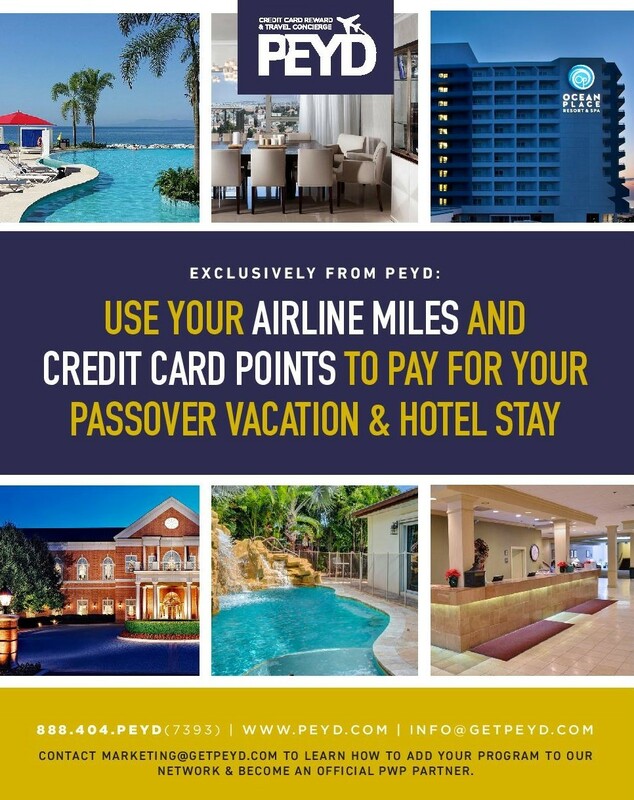 New Marriott Bonvoy Loyalty Program & Credit Card Bonus Offers, Passover Pay With Points & Other Top Offers! Marriott has changed their name! On February 13th, Marriott retired the Marriott Rewards, Starwood Preferred Guest and Ritz Carlton Rewards programs and replaced it with Marriott Bonvoy, the new Marriott Loyalty Program. With the name change, Marriott is now offering a number of new credit card signup bonus offers with their Marriott Bonvoy American Express Programs! Earn 100,000 Bonus Miles after you spend $5,000 within three months of opening your account. Need help booking your flights, car rental and paying for your vacation accommodations?? PEYD is a full service travel agency and our exclusive pay with points program is designed to ease the burden of coming up with the funds to make your dream vacation a reality. Our specialist will help you navigate the credit card rewards programs to offset the costs and expenses of your holiday vacation. (646) 801 – PEYD (7393) and we would be happy to assist! 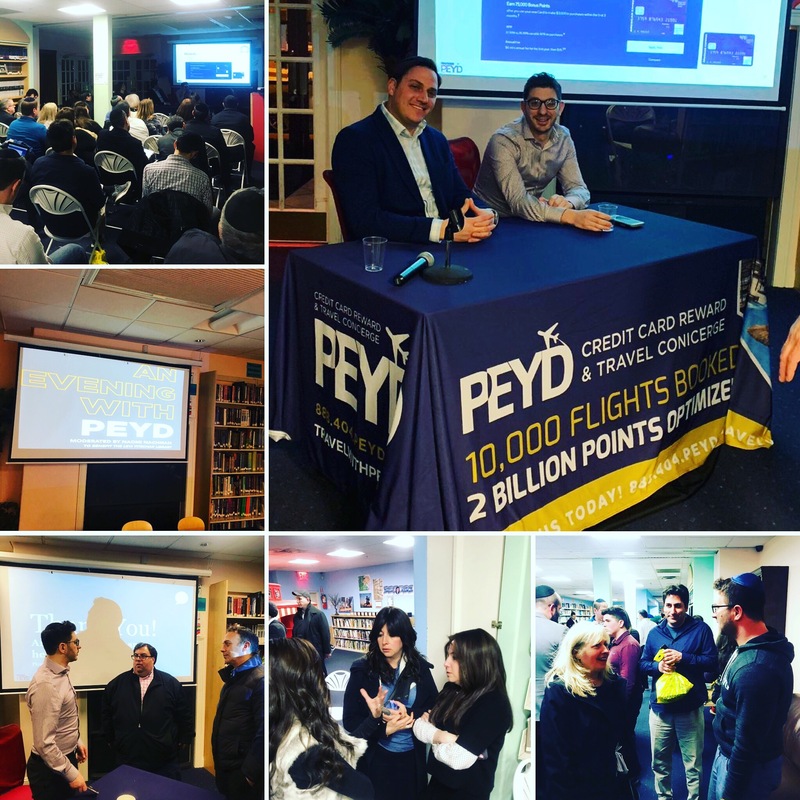 PEYD Event to benefit the Levi Yitzchak Library a Great Success!! Thank you to everyone who came out in support of the Levi Yitzchak Library and to all who helped make our special community educational event on February 5th in Cedarhurst a great success!! Over 60 individuals came out to learn how to maximize on their credit card usage to earn valuable rewards for travel and otherwise. We look forward to hosting more of these events upcoming. If you’d like more information about attending future events, contact us HERE. getp2347 on Who Really Owns YOUR Credit Card Miles & Points? Eva Griggs on Who Really Owns YOUR Credit Card Miles & Points? Steve Edelman on Our Trip To Israel; an Insider’s view on the El Al First Class experience. David on Who Really Owns YOUR Credit Card Miles & Points? Carol Barring on Who Really Owns YOUR Credit Card Miles & Points?